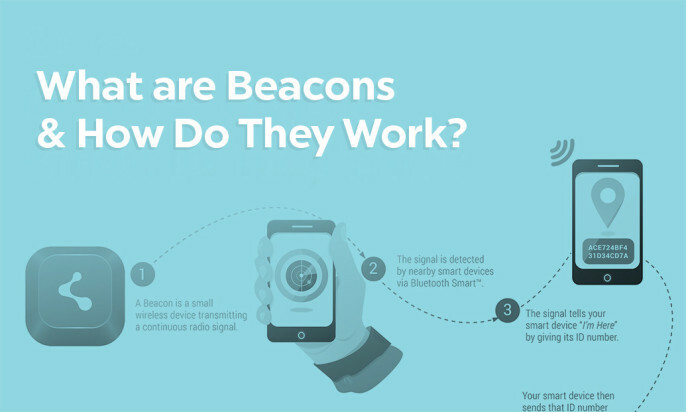 If you’re having trouble explaining and / or conceptualizing what beacons actually are, and what they actually do – we’ve created this infographic just for, you. Beacons are small transmitters that connect to Bluetooth-enabled devices like smart phones. They’re commonly used in marketing to send messages to an app based on proximity to the beacon, but they’re also used in asset tracking, indoor navigation, and other use cases. Feel free to share with anyone you think can use this explainer. You can also share this on your website using the embed code at the bottom of this page. So let’s answer the million dollar question! Click here to download the complete Beacon Industry Report. Nice! Very clearly put description. 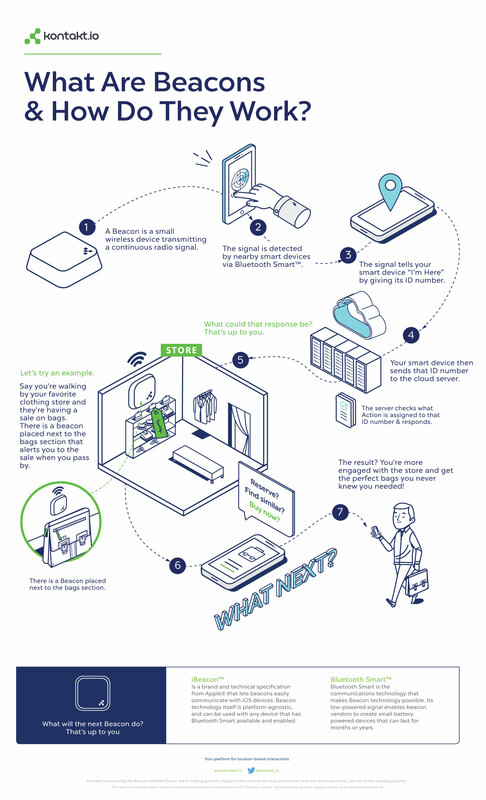 Cool Infographics Agnieszka Gąsiorek , is there something similar you have created for customer education, about interacting with physical web beacons? Eg Bluetooth,Location should be turned on to receive the Eddystone notifications.Incase you have something please share with me so that we can design a similar Infographic for our users.